TORONTO, June 23, 2016 /CNW/ - Today, MaRS announces the official opening of its corporate innovation district, the MaRS C Suite, with its founding sponsor CIBC. Located in the heart of the MaRS Centre, the suite acts as a bridge between corporate leaders and entrepreneurs. Inside the open concept suite, small teams of developers, designers and market analysts work to predict market trends and rapidly iterate new technologies. Tenants include CIBC Live Labs, Lab of Forward Thinking (LOFT)—a Manulife / John Hancock partnership—and Moneris, the country's largest credit and debit card processor. "The definition of convenience in banking is changing, as personal and business clients adopt technology that allows them to bank when, where and how they choose, and we intend to be at the forefront of that evolution. Our work at CIBC Live Labs is all about delivering on changing banking needs with innovative solutions developed in a highly collaborative, fast-moving environment," said David Williamson, Group Head of Retail and Business Banking, CIBC. The CIBC Live Labs team is already working in the MaRS C Suite on the next wave of fintech solutions, having recently conceived and developed two firsts in the Canadian banking sector, the CIBC Apple Watch app and Hello Home Mortgage app. "CIBC, Manulife and Moneris share MaRS' belief that collaboration accelerates the rate of innovation. In the MaRS C Suite, financial technology services teams from several institutions are collaborating with each other and with ventures across our sectors to develop new technologies," says Ilse Treurnicht, CEO of MaRS Discovery District. In eliminating silos between organizations, the MaRS C Suite enables teams working there to accelerate the pace of innovation by learning from each other's mistakes and successes. "Manulife looks forward to working alongside other institutions in the MaRS C Suite to create a collaborative atmosphere that nurtures innovation," said Greg Framke, Executive Vice President and Chief Information Officer, Manulife. "Customers are demanding solutions that leverage technologies they use every day, and the MaRS C Suite will develop ideas so that Canada's leading financial institutions will deliver those solutions." Moneris is also developing complementary technologies to improve the retail experience for merchants in a range of areas, including mobile point-of-sale, omni-channel retailing and core payments. The company is building out solutions that go beyond the simple sales transaction, to drive innovation in the fintech sector. "By collaborating with fintech innovators and startup founders within our immediate environment, our team is better able to forecast market need and develop technology to respond quickly," says Rob Cameron, Chief Product and Marketing Officer for Moneris. "For example, by developing our enhanced payment gateway and developer portal at MaRS, we can stress test and iterate as we go." MaRS Discovery District (@MaRSDD) in Toronto is one of the world's largest urban innovation hubs. MaRS supports promising young ventures that are tackling key challenges in the health, cleantech, finance & commerce, as well as work & learning sectors. In addition to helping startups launch, grow and scale, the MaRS community is dedicated to cross-disciplinary collaboration, commercialization of discoveries and driving ideas to impact. Lab of Forward Thinking (LOFT) is a global innovation capability within Manulife and John Hancock. LOFT was created to help defend Manulife's competitive advantages within a quickly evolving and highly disrupted industry. The purpose of LOFT is to support and facilitate the creation of disruptive and innovative business offerings that best serve our customers and create value for the organization. Through a global network of physical LOFT labs, we have built environments where teams discover, incubate, and accelerate work on new technologies, products/services, and processes in a fail-fast culture where every idea is given a fighting chance to succeed. We have labs in Boston, Toronto and Singapore. As one of North America's largest providers of payment processing solutions, Moneris offers credit, debit, wireless and online payment services for merchants in virtually every industry segment, processing more than three billion transactions annually. 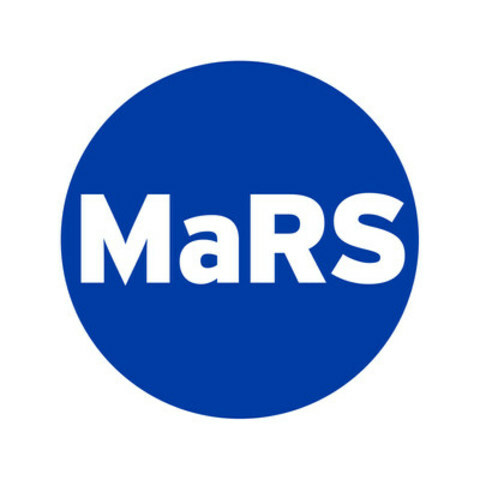 Moneris is pleased to be one of the founding companies within the MaRS C Suite, introducing our leadership in payment innovation to established and emerging companies. The Moneris team situated at the MaRS C Suite conceives and builds payment solutions and will hold regular developer-outreach events. Moneris also collaborates with fintech innovators and startup founders to advance market-changing technologies in a range of areas, including mobile point-of-sale, omni-channel retailing and core payments.